The just ended cholera in Malawi capital, Lilongwe, has jolted hard hit communities to do something about breakdowns in water and sanitation services. Residents of Kauma, a peri-urban setting near the affluent Area 12 where some policymakers live, say they cannot keep losing lives to the sanitation-related disease which attacked 33 people and killed three in their midst. The count was part of a national tragedy. According to the Ministry of Health, the country registered 929 cases and 30 deaths-with Lilongwe and Karonga recording the highest caseload and mortality. An opinion is gaining sway among nearly 37 000 in Kauma that the end of the outbreak is not a time to relax, but the start of concerted efforts to reduce risk factors. Community leaders do not want a repeat although the population lives without clean water. “Most residents rely on shallow wells along Lilongwe River for drinking water,” says village headman Kauma. Lack of piped water-which remains the only safe water in Lilongwe, according to tests by the United Nations Children’s Fund (Unicef)-compels many families to turn to unprotected wells located too close to overwhelmed pit-latrines. Ground water gets contaminated by faecal matter waste, widespread refuse and sewer leakage. Water pollution contributed to the cholera outbreak, says Kauma. Awed by cholera, community leaders came together to find solutions to roll back the outbreak. Kauma and block leaders salute the locals for responding overwhelmingly to confront shared public health risks in the marketplace and their homes. Others brought pick-ups to ferry the waste; vendors took part in cleaning the market and community members started handling waste responsibly. In no time, drains clogged by garbage were unclogged and disinfected. 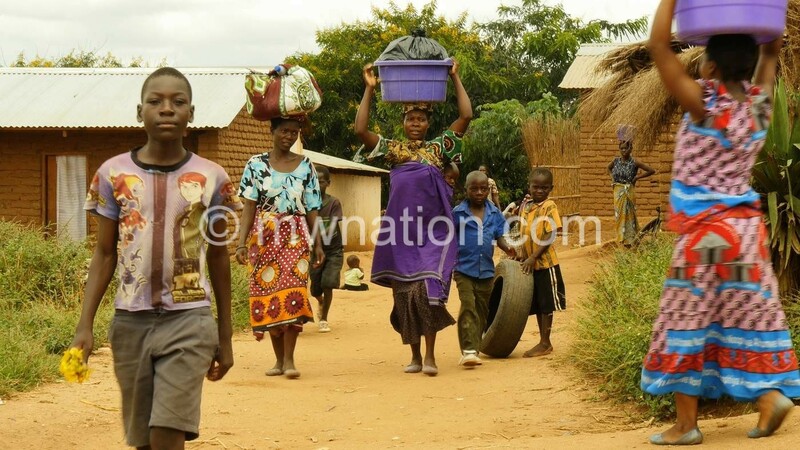 Although government declared Malawi cholera-free last month, community leaders in Kauma have intensified the campaign to ensure the sanitation-related diseases does not recur next rainy season. Parent and Child Health Initiative Trust (Pachi)is sensitising community members to end unsanitary conditions in the clustered settlement. Residents have formed groups, called mabwalo, in all the 10 villages to discuss causes of cholera and how to overcome it. “Awareness is key in the fight against outbreaks. Communities are aware of the risks. They have been taught the importance of washing hands and boiling or treating water with chlorine as well as to always use latrines,” says projector coordinator Laura Munthali. The change agents see the community-based groups creating awareness and stimulating the locals to take action and make cholera history. “Mass awareness in itself cannot contain cholera, but action. Through these groups communities will form action plans,” says Munthali. The sanitation gaps in the highly populated area are compounded by leakages of a wastewater treatment plant. A study by Natural Resources College indicates that Kauma treatment plant discharges wastewater which does not comply with the Malawi Standards and WHO guidelines. This leakage poses a threat to the environment, findings show. Makatani block leader Mwase said all the efforts to clean up Kauma will be futile if the community continues to live without safe water. He requests government to ensure everyone has access to piped water. “People will continue depending on shallow wells which are polluted by the leakage from the wastewater treatment site and pit latrines,” he says. The problem mirrors inequalities as the area with unmet demand for water, sanitation and hygiene facilities is occupied by low-income Malawians escaping poverty in rural areas only to end up in worse hardship. There is no health centre in sight. Kauma residents endure long travels to access medical care in Area 18. Looking forward, they are convinced that the community groups will help them to speak with one voice and get government to act not only on calls for a healthcare facility but also safe water, improved waste disposal and a stop to the leak of Kauma wastewater plant.